Sift flour, sugar, baking powder and salt in a big bowl. Cut corns kennels from the cob, enough to yield 2 cups of corn kennels. Set aside. Then use the back of a knife, scrap down any remaining corn pulps and corn juice. Add 3/4 cup of corn kennels, corn pulps and juice from the cob, and milk in a blender. Blend until fine. Pour milk mixture into a bowl, add in melted butter and eggs, whisk to combine. Pour the wet mixture and remaining corn kennels to the flour mixture all at once. Mix with a balloon whisk until the batter is just combined. The batter will be lumpy. 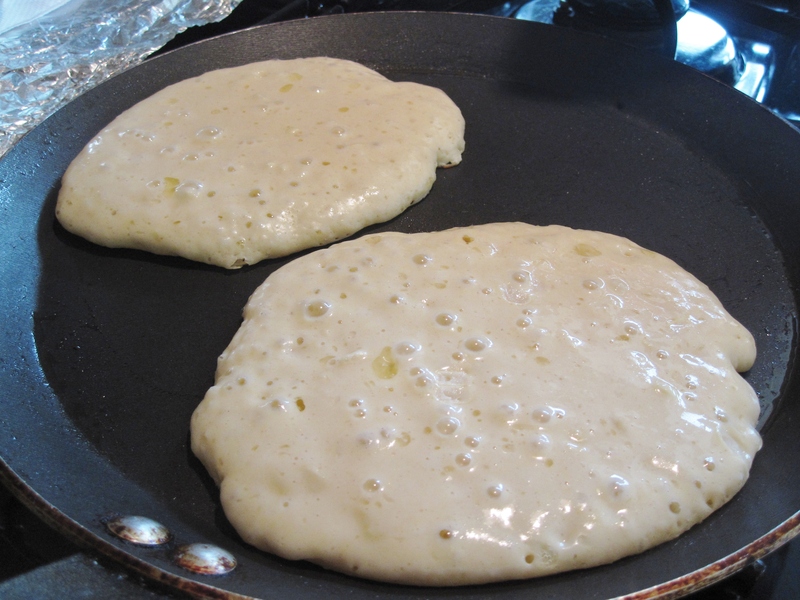 Cook as you will with regular pancakes. Serve hot with butter, maple syrup and whipped cream. Sugar: if less sugar is the corns are sweet or if you use more maple syrup. Canned corn can be substituted if fresh corn is not available– check for sugar content though, as some canned corn/cream of corn is already sweetened. Adjust sugar amount accordingly. These pancakes can be served sweet with maple syrup and butter, or savory style with salsa, sour cream and guacamole. 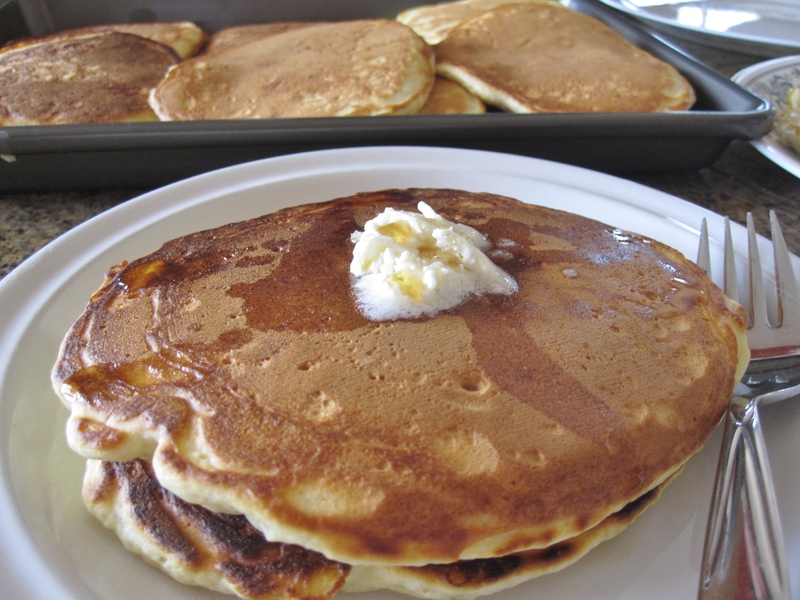 Fresh Corn Pancakes. Can you see the corn kennels?